We use own and third-party cookies to improve our services. If you continue browsing our website, we will consider you accepting its use. You can change the settings or get more information here. "I first met Miriam González in March 2015. The previous month I had asked our friend, Rodrigo Calvo from Bodegas Arrocal, in Ribera del Duero, if he knew of anyone in the appellation doing something different, something special. If Rodrigo had acted like most jealous winemakers, he would have politely declined the opportunity to put me in contact with someone else in Ribera del Duero. Their family have provided the wine for our own brand, Cathar, for several years and he might well have considered another winery as competition. However, being as he is, Rodrigo kindly gave me the number for Miriam and the following week I arranged a meeting in Barcelona where we agreed she would bring me samples. Miriam's mother, Elena, was born into a family of grape growers in the little village of Sotillo de la Ribera, right in the heart of the largest grape producing region in Ribera del Duero, Burgos. When Elena married Joaquin González, a native of Barcelona, she joined him in Catalonia where they built up a successful decoration and construction business. After many years of struggle the business eventually became a success and they decided to create a winery back in their home village together with members of Elena's family who would provide the grapes. In doing so, Elena and Joaquin hoped to forge a lasting link between his growing Barcelona based family and his relations in Sotillo. Bodegas Valdaya's first few years were difficult. Joaquin's generous nature meant that his partners in the winery, namely the grape growers, were offered a guaranteed place and price to unload their grapes regardless of their quality. Wine quality was only average and the business probably only survived because of Joaquin's sentimentality and reluctance to throw in the towel. One good thing did happen though. 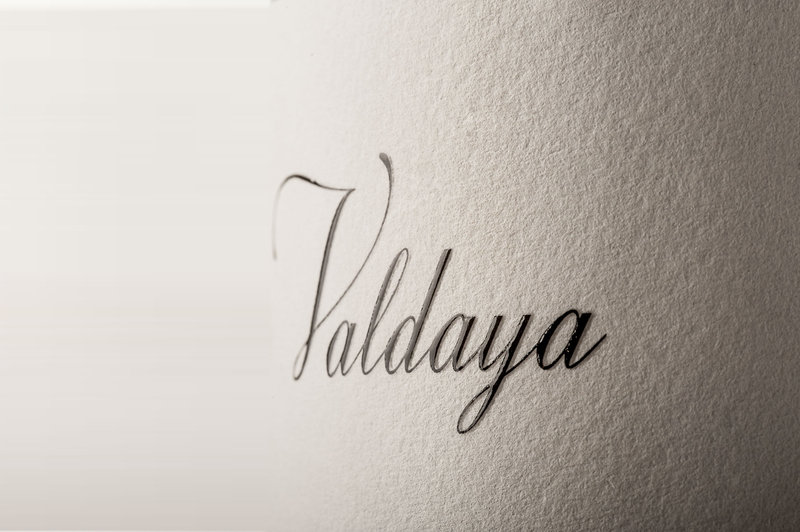 In 2013 Bodegas Valdaya recruited a young couple as winemakers. Marta Ramas and Miguel Fisac studied oenology at Bordeaux University and learnt their trade working in Saint-Emilion and Péssac-Léognan under the guidance of Denis Dubourdieu and Stéphane Derenoncourt. 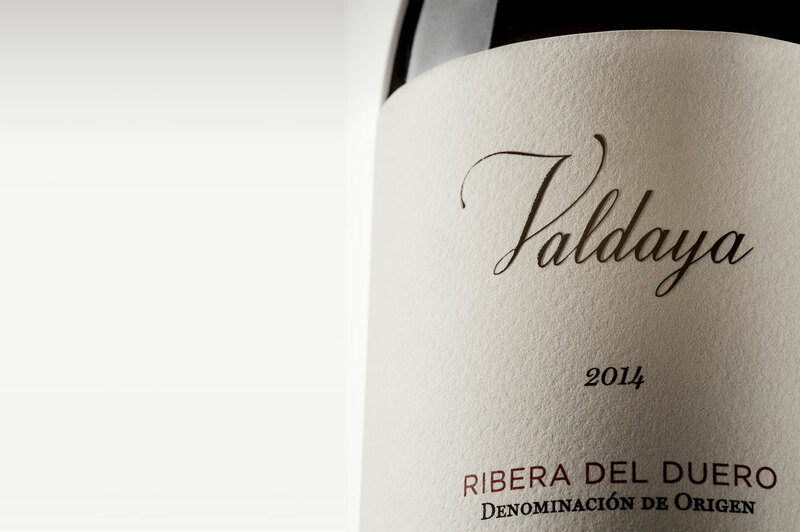 A stint of working different vintages in Hawkes Bay, Napa Valley and The Cape in South Africa, eventually brought them back to their home land of Ribera del Duero to begin work at Valdaya. The 2013 vintage in northern Spain was challenging. It rained during the vintage and all over Ribera del Duero wines struggled for ripeness. Nevertheless, Marta and Miguel managed to create something special. The original winery had been designed to absorb large quantities of grapes. This meant big tanks - too big for the kind of winemaking now required. To get round this logistical challenge, Marta and Miguel initiated a new way of working at Valdaya - micro fermentations in used barrels, with every process carried out by hand. The concept was simple: from each of the nine best vineyard parcels from the most trusted family growers they would make nine barrels of wine, thereby maintaining the identity of each plot through to the tiny amounts of wine made in each barrel. Even though the different barrels would be blended together to make two cuvees, the process of identifying and learning about the qualities of each vineyard parcel had begun. As mentioned earlier, the 2013 vintage was never going to create any wine superstars in Ribera, but there was enough quality in Marta and Miguel's wine to catch my interest when Miriam presented me with a sample in Barcelona in 2015. The wine showed silkiness, elegance, purity of fruit, a clear finesse that immediately set it apart from most of the other wines made in Ribera. More than anything, this wine showed promise - not so much for the wine, but for the people who had made it. Several weeks later I got the chance to taste the same nine barrels but with the 2014 vintage inside. What a difference a year can make! The 2014 wine possessed immense power and concentration but retained all the finesse of Marta and Miguel's painstaking micro vinifications. By this stage I knew I wanted to work with Valdaya and their young team. 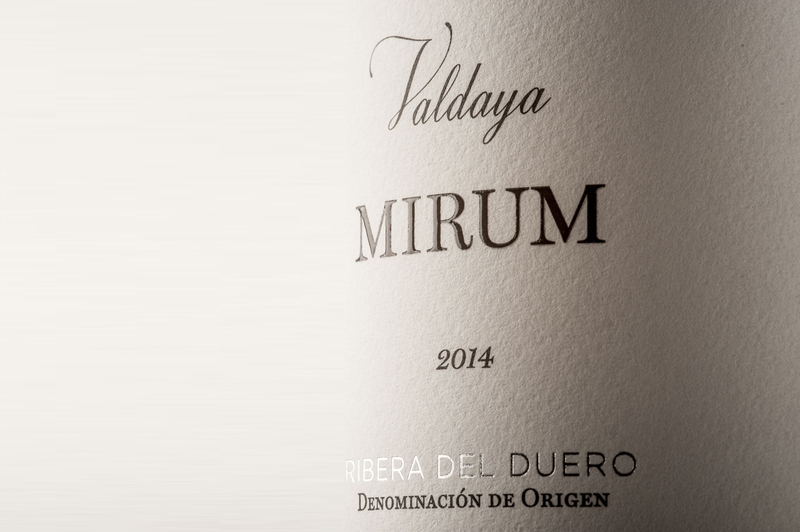 Over the following year Miriam, Joaquin and I settled on an arrangement that would see the whole Valdaya effort dedicated to the production of 2 premium wines, Valdaya and Valdaya Mirum. On a personal level, the wine business gets no better than helping a young, committed team achieve the recognition their talent deserves and I am supremely excited about giving our friends and customers a chance to try these truly wonderful wines." For all commercial inquiries please fill in this form and send.